For almost three decades, Afghanistan has faced extended conflicts, drought and massive population displacement, all of which have contributed to extreme poverty throughout the country. CARE’s work in Afghanistan began in 1961 with a focus on improved medical training and healthcare. However, the deteriorating political and security situation made it necessary to suspend operations from 1980 to 1989. Since then, CARE has responded to both man-made and natural disasters, with our projects including community-led reconstruction, community-based education, microcredit, working with internally displaced people particularly women, and maternal and child health. 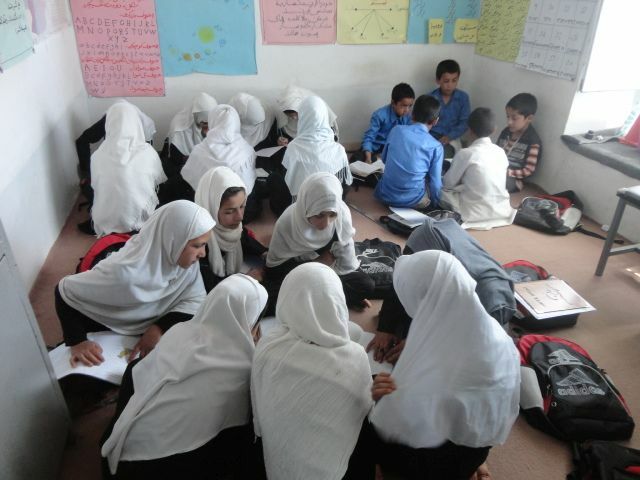 CARE has been implementing the Empowerment through Education in Afghanistan (EEA) project since May 2011, providing greater access to quality basic education for school-aged girls and boys in remote and rural communities across five provinces of northern and south-eastern Afghanistan. Improving the quality of and access to basic Community-Based Education (CBE) with an emphasis on empowering girls, where the government does not have coverage, is a major focus of this project. CARE also aims to develop the leadership potential of girl, by facilitating opportunities for them to engage in decision-making structures and social support structures such as peer groups. 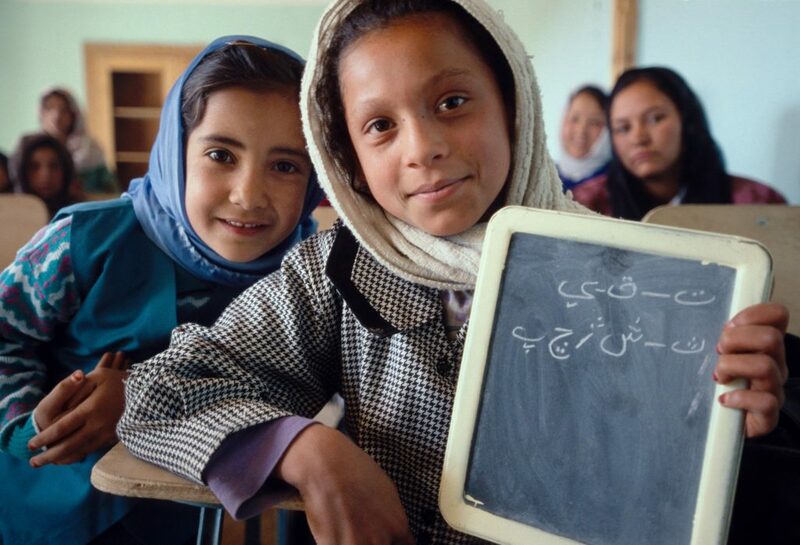 Now in its third phase, the project is advancing the right to education by expanding education coverage to girls through primary and lower secondary CBE programs in rural areas of Afghanistan. The project also has a greater focus on boosting numeracy skills, improving womens’ and girls’ active participation in equitable community management of education services, and increasing girls’ transition rates into post-primary education. 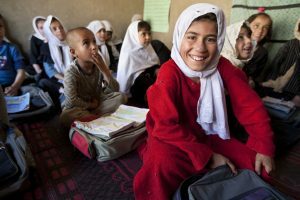 Read more about our work on the EEA project, and how we’re educating girls and boys in Afghanistan. Afghanistan ranks among the lowest in the world in terms of human development (169 of 188 countries and territories) and is one of the poorest countries in the world. 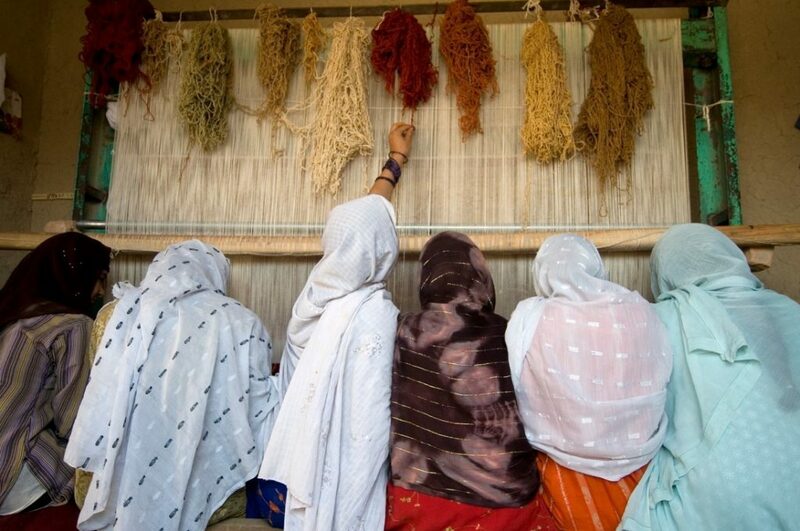 Since the agricultural sector is central to Afghanistan’s economy, it is critical to strengthen the country’s ability to produce efficiently and effectively, and improve job opportunities for women. The districts of Charkint and Khulm in Balkh Province have long-established farming practices, poor infrastructure, and limited knowledge of markets and the production process. Both districts are susceptible to natural disasters including flooding, drought, landslides, and earthquakes. 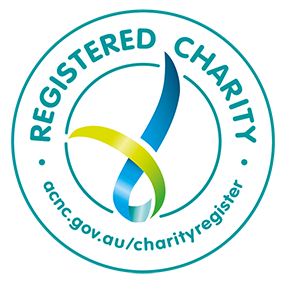 From 2015 – 2018, the Resilient Livelihoods project (part of the Australia Afghanistan Community Resilience Scheme) played a significant part in improving agricultural practices and production, ensuring households can access agricultural related information and networks. The project worked with vulnerable rural communities (1,450 households) across 30 communities in Charkint and Khulm districts to enable households with limited access to land or employment to grow their own food, improving food security, income and resilience. The project has also seen vulnerable groups better equipped to influence decision-making processes relating to their livelihoods. In recent years, we’ve been able to assist in establishing 37 Village Savings and Loans Associations (VSLAs), which have seen over 700 women participating. 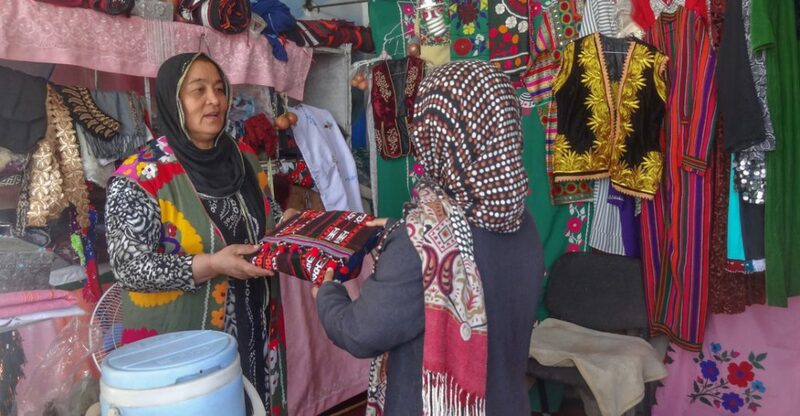 The associations have enabled women to save small amounts of money and take out loans to establish small businesses such as bee keeping, vehicle repairs and handicrafts, and to purchase calves, sheep and chickens. Livestock was distributed to selected vulnerable women in targeted areas to develop farming skills and to generate extra income, by selling extra milk and milk products to support their families. Marginalised groups, especially women, have been equipped with knowledge about their rights and roles in relation to marriage, education, and attending social events. Thirty-three Solidarity Groups were formed to increase the opportunity for women to raise their voices about community issues. Members received training on conflict resolution, child protection, gender awareness, disaster risk reduction, community-based advocacy and womens’/human rights. In the long term, such training can positively change current practices and norms of communities regarding womens’ roles and rights and their inclusion in all aspects of the community. Korian village is located about 6 kilometres from the centre of Khost province in the south-east of Khost Matoon. People of the village are either farmers, government workers or private business owners and often face economic hardship. Most of the women and girls in this community are illiterate. In 2014 EEA established a seventh grade class in the community. Today, girls are able to study up to ninth grade. Gawhar Shad* is a lower-secondary CBE student. 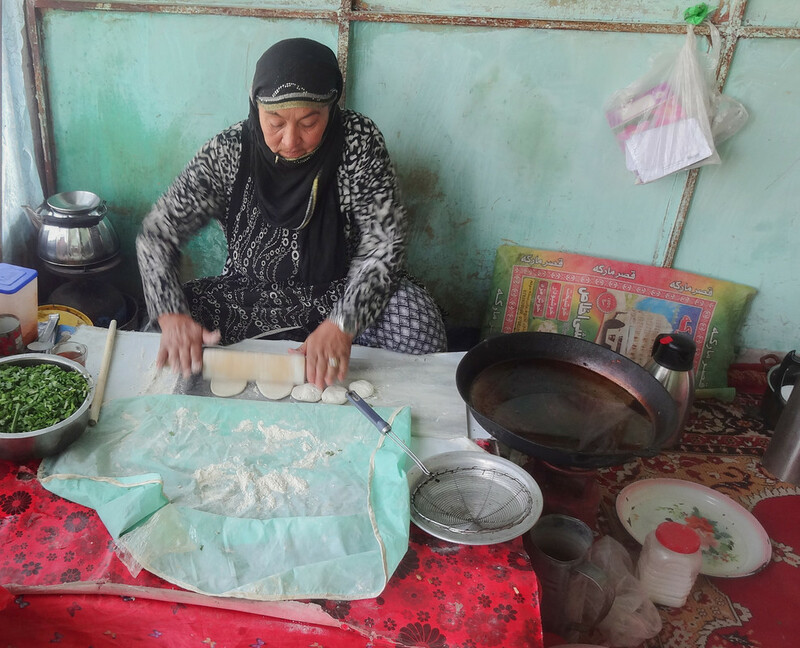 She completed her primary education before she got married but unfortunately, without a facility available, Gawhar was unable to pursue her secondary education. When CARE conducted a needs assessment to establish lower-secondary CBE classes, the assessment results showed Gawhar’s village to be of the most eligible communities and grade seven was established in the village. “I was very pleased because I wanted to complete my upper secondary education. To date I learnt a lot about science and academic subjects as well as I made proper improvement in health section, I learned how to take care of personal and environmental hygiene and I am able to protect my children from many diseases.